The 2018 Assessment is a two-year endeavor carried out under the auspices of the World Meteorological Organization (WMO) and the United Nations Environment Programme (UNEP), with NOAA, NASA, and the European Commission as supporting organizations. It is the product of 200+ scientists and support staff from 32 countries who contribute to its preparation and review. NOAA scientist David W. Fahey helped lead the report as one of four international Co-chairs of the scientific panel. More than 20 NOAA or NOAA/CIRES authors contributed to the scientific content (see Appendix D of the report). CSD, GMD, PSD, and GFDL each have one or more authors or reviewers. CSD led the organization and production of the assessment documents as it has for three decades. Sarah Doherty (CIRES and the University of Washington) did an outstanding job as overall coordinator/editor and Debe Dailey-Fisher (NOAA) and Annie Reiser (NOAA) managed formatting and layout of this 590-page volume. Actions taken under the Montreal Protocol have led to decreases in the atmospheric abundance of controlled ozone-depleting substances and the start of the recovery of stratospheric ozone. Sources of significant carbon tetrachloride emissions, some previously unrecognized, have been quantified. Continued success of the Montreal Protocol in protecting stratospheric ozone depends on continued compliance with the Protocol. The Assessment contributes to NOAA's mission to provide decision-relevant scientific information on atmospheric issues that pertain to the public welfare. 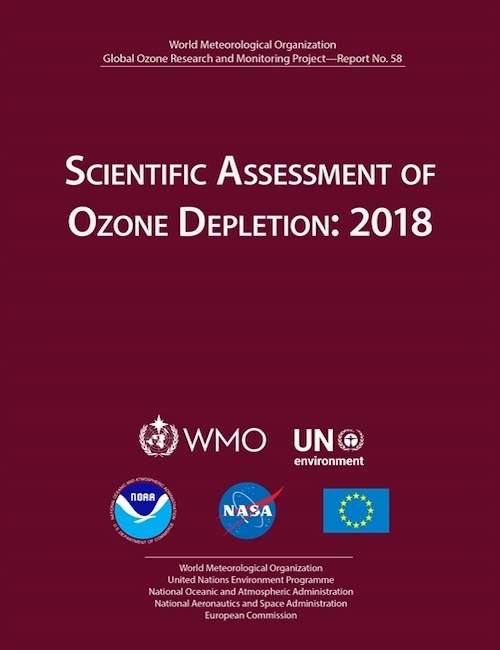 The periodic updates of the "state of understanding" regarding the ozone layer have enabled the countries of the world to avoid harmful effects of increased surface ultraviolet radiation that would have occurred in the absence of the Montreal Protocol. The Montreal Protocol has also had co-benefits for climate, because most ozone-depleting substances are also greenhouse gases. The UNEP Ozone Secretariat also serves a copy of the report with the Scientific Assessment Panel (SAP).